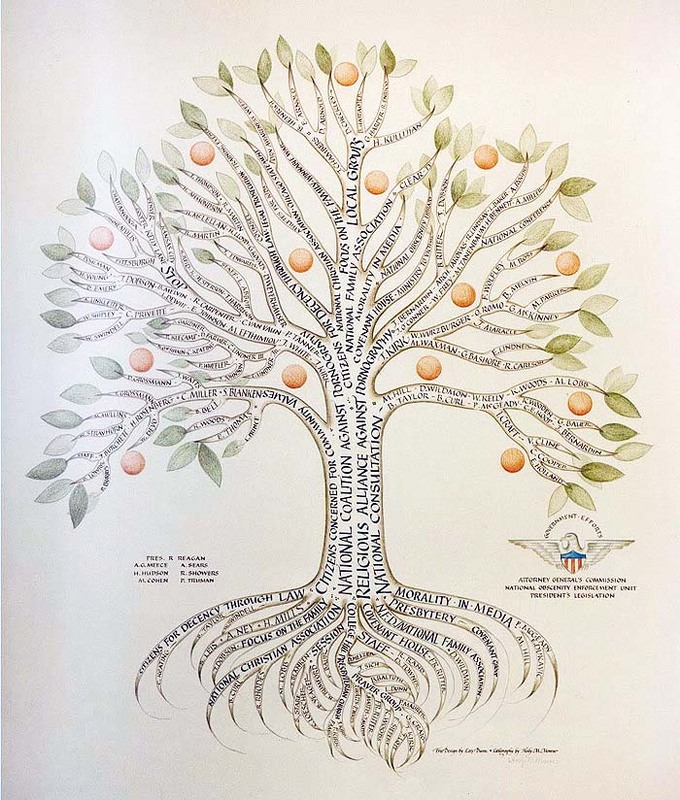 Family Tree for an organization. Lois Dunn, artist. Holly calligrapher.